Grills and smokers both cook food, but there is some debate in the backyard BBQ community about which one is the most reliable. Both can produce amazing BBQ results, but is one really better than the other? The Advantages and Disadvantages of Grills and Smokers! Grills – Convenient Flavor Every Time! Grills are popular in many situations because they are fast, easy, and dynamic in the ability to cook many different types of food. With a gas grill, you can cook and eat a meal very quickly at any time. Although charcoal grills take a little more time, it is still faster than a smoker and produces some of that same fantastic smoky flavor. Grills can cook nearly anything and for this reason they are the most popular option, particularly for the novice cooker. Using a smoker is cooking food over a long time at a low heat. Many people will claim that this is the best way to prepare BBQ, but it can take a very long time and it is a more difficult process to master. Smoking food creates an amazing smoky flavor that could be unbeatable. 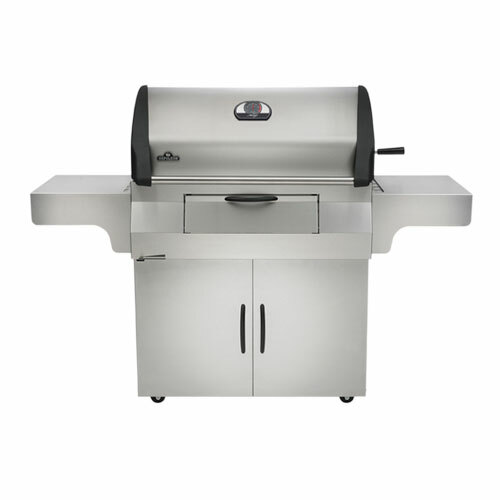 If you are looking for a grill or smoker in Boulder come into Hi-Tech Appliance to find the perfect appliance. Click here to learn more!